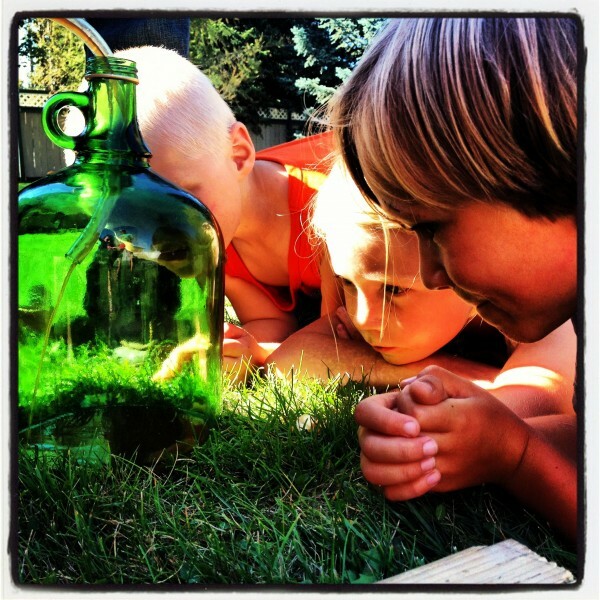 Today’s post is written by my sister-in-law, Laura, who is partnered with my brother, Josh, on their own homesteading journey. From raising wild boars to constructing artful greenhouses, they have inspired me many a time with their projects. Their latest DIY undertaking was to build a most impressive cider press and I asked Laura to contribute an article about how it came to be and the rewards it brought. Take it away, Laura! 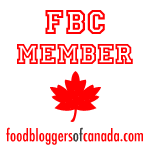 The last time Josh and I were graced upon the pages of a food blog it was about how bad our car smelled, all for good reason of course – it was because it was full of fish from our trip to Haida Gwaii. Well, I’m at the point again where my car smells, but this time it smells good, really good. That’s because on any given day I’ve got between 1 and 6 boxes of apples in the back. The amount of fruit trees in our country that go about un-noticed, neglected and lonely is incredible! You’d think they’d evolve into emotionally unstable creatures… if these trees were in Narnia they would tell us that they need more love…. But I digress, this isn’t a blog about talking trees or the emotional state of a depressed deciduous. The point is that there are many, many fruit trees that go unharvested year after year. So, I’ve got all these apples, now what? I canned a dozen or so jars of applesauce, but what I’ve always wanted to do is build an apple cider press, and this year it happened. I’ve been dreaming of building an apple cider press for quite some time. Over the years, our workshop had become cluttered with little piles of free hard wood from free-cycle, faded papers of building plans and a huge cast iron fruit grinder in a box. It was a similar desire for harvesting homemade cider that brought my brother, Jeff, into the picture. Thanks to having a few weeks off work and being very great with tools, he was the winning ticket to make this project come to life. Jeff loaded up his truck with all the odd and ends I’d been saving, and on his own time, did a very meticulous job of bringing all these parts together. What he presented a few days later was a beautiful old world-looking cider press that, I have a feeling, will last for a few generations to come. 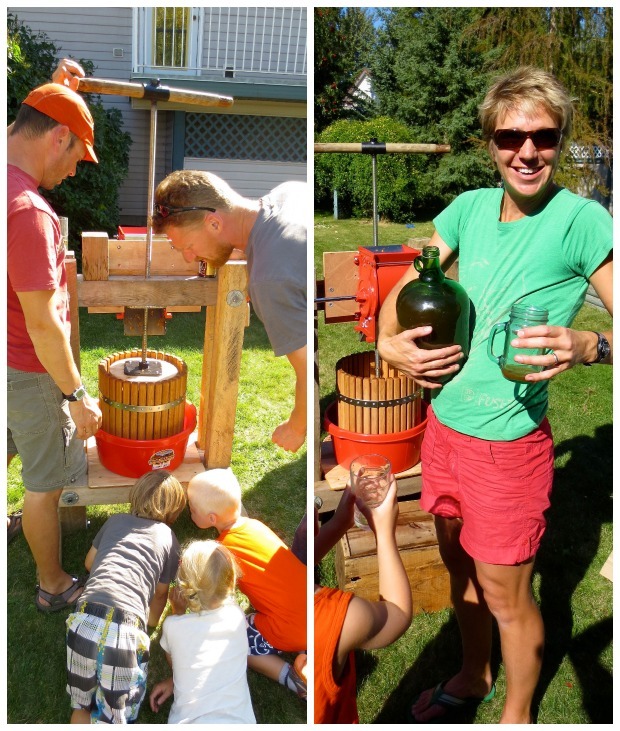 What comprised our homemade cider press? a basic, but very solid, rectangular frame that can support the pressing process. a mesh bag to keep the apple pulp tidy inside the barrel and easy to clean out. a long piece of threaded rebar to act as a screw within the press and threaded through a large nut in the frame of the press. Wash the apples that you’ve been collecting. Some of ours sat for a few weeks to sweeten up. Don’t fret about what kind of apples you have, just be aware that some make more juice than others and some are more sweet and others more tart. 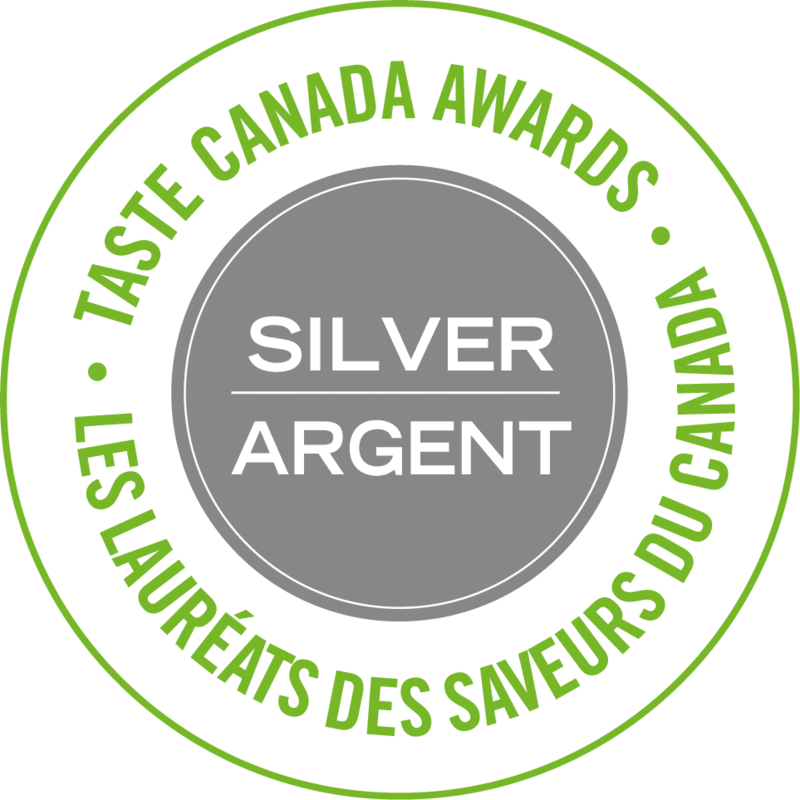 We blended many varieties with great success. Next, grind up your apples to allow the juice to flow out of them the best you can. Do cut off any bad spots from bugs before grinding , it’s Ok if they are a bit bruised in spots. Once your oak slatted barrel is full of apple pulp, place your thick pressing round in the barrel and start pressing. Essentially you are just squishing the juice out of the apple. Now pour yourself a cider, and everyone else one too for that matter! Yield: Our barrel would take about 1 laundry basket full of apples and make around 6-10 litres of juice- depending on the apple. TIP: An important factor to remember is to make sure everything is really clean before you start; you don’t need weird bacteria in your juice. ALL photos in the post courtesy of Laura Hols-Wimbush (cute girl in green!). 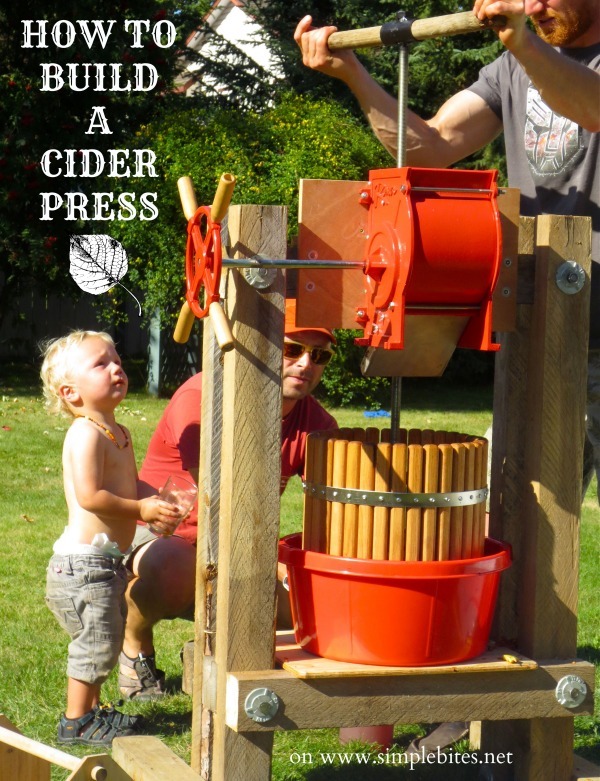 Our first day using the cider press was everything I imagined it to be, with children running around in the late summer sun, munching apples to their heart’s content. We feasted from a table laden with food in the corner of the lawn and friends drank apple cider from previous years (or from the local liquor store). Together we pressed communal boxes of apples, we laughed, and we swatted bees, a lot of bees actually. At the end of the day 1 we made around 50 liters of fresh apple cider, and proceeded to make the same amount the following week. Fresh juice has been on the table at most breakfasts these days, but I have also frozen some for later enjoyment. We used large glass flip-top bottles for freezing, remembering to keep the tops off and leaving headspace for expansion. And, of course, I’ve got about 30 liters of cider happily bubbling away in the basement for a true apple cider beverage. I’ve met some of the most amazing people when asking if I could pick their apples. Last week, my apple inquiry led to an invitation to tea from a beautiful lady in her late 80’s. Happy to have some company (and someone to clean her apple tree for her), she told me story after story about life in Canada in the 1950’s. She reminisced about teaching in the school house before she had children, and how on summer nights while doing dishes, she would watch from her kitchen window as her 5 year old daughter would sneak out of the house. Clad in only her nightgown and bare feet, the small girl would quietly ride her new horse around the yard, only to sneak back into bed afterward. A beautiful secret between mother and daughter. The elderly lady’s warm hand on my arm as I said goodbye reminded me that this isn’t really just about the apples, but about community, and carrying on the traditions of our forefathers. 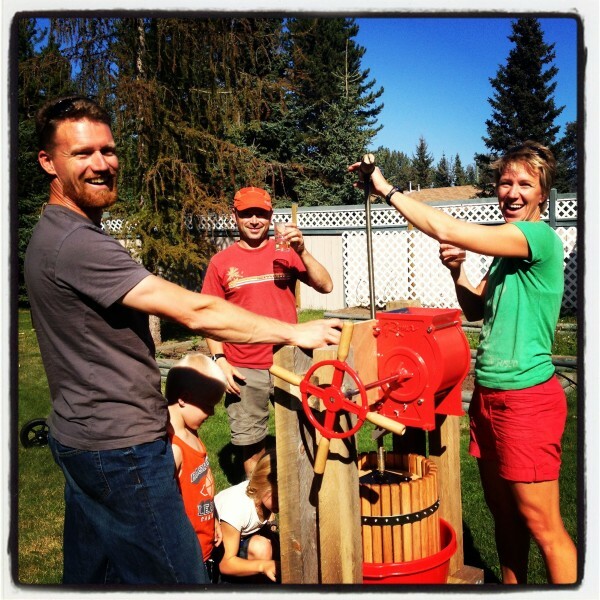 Now that you’ve made a press, why not throw a cider press party? Via Rurally Screwed. 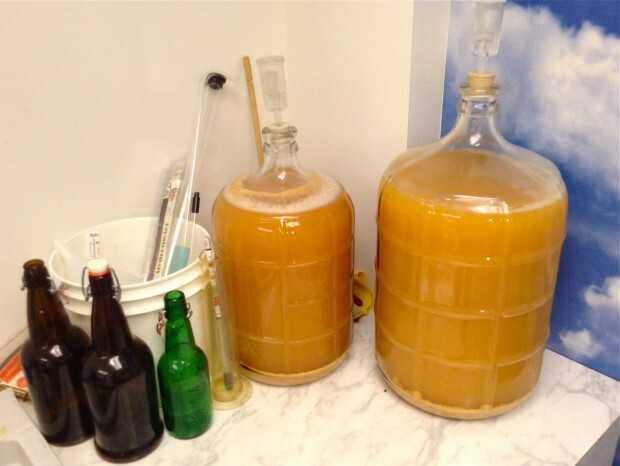 Have you ever pressed cider? Do you have any tips for our readers? That looks like loads of fun! This is amazing! I love that you reached out to people for one reason, you walked away with additional blessings and new friends! That cider looks heavenly! “this isn’t a blog about talking trees or the emotional state of a depressed deciduous.” That’s a great line! This post hits home for me as we have keeping an eye on a Fig tree in our neighbors yard that has gone unharvested for the past few years. When we moved in, there was a multi-generational family living in the home that kept the most beautiful cared for vegetable garden. Over the course of about 4 years the people that were taking the most care of the garden passed away and eventually the house was sold. Most of the garden has been taken over by weeds but the Fig tree still continues to grow strong. 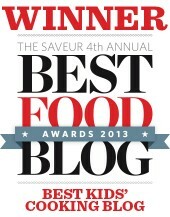 This year, we actually reached out to the new owners and were given the permission to harvest the figs. I’m not sure the happy (and full) birds like this arrangement, but I think there is enough forgotten fruit for us all to share! That is so cool. I’m a big fan of foraging, I mean, why waste perfectly good food. Wow, this is crazy awesome! I bet that first sip was just phenomenal. This is SO cool!! I love apple cider, but living downtown I have to make due with buying it at the grocery store. Years ago our homeschooler’s group in Vermont got together and made apple cider from wild apples on a member’s property. She had an old-fashioned cider press and many hands went into making the best cider I had ever tasted. this looks like so much fun!! i would love one of these in my backyard! i bet the cider is amazing coming from one of these! This is so amazing! I love all the found fruit! I’ve found some seriously great blackberry patches in local parks that I make jam from 🙂 It’s the best! We have foraged apples, bushels of them, for applesauce, apple pie filling and oatmeal toppings. I love making use of the good around us and I’ve always wished the trees could talk to tell us their stories. Fantastic cider press, very inspiring! We are part of a loosely organized group of people that share an apple press made at least 30 years ago by two Swiss immigrants (one was my father-in-law). Those two original craftspeople willingly shared their press with their friends, and over the years, it has evolved into an informal club. Those who are interested in having the press for a few days every fall add their names to a list. When the first person is done, they deliver it to the next family on the list. That way, one well made press is in pretty constant use for several weeks, and many families get to use it without making one themselves. This means occasional maintenance and every few years, someone devises a slight improvement. But no money changes hands, there are no meetings or committees involved. It’s very simple … and ultimately delicious. I recommend this approach very highly to others who would like a press but perhaps are intimidated by building one themselves. Perhaps you can sew the mesh bags, while your friend is an adept carpenter, and someone else can donate the metal parts needed? This looks like such a fun fall weekend project. I love you pictures! So cool! 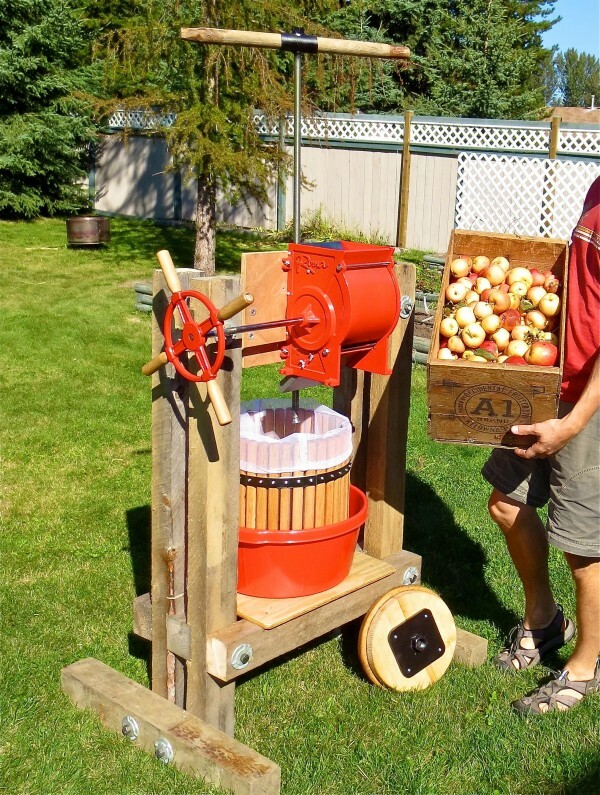 That’s so neat that you foraged your apples & made your own apple press! Also very cool to meet the old woman and hear her stories. What a great tool for the fall season! We have been foraging apples, too, and now I wish I had a cider press to turn them all into juice. Lovely! We built a press very similar to this, but made the frame taller to fit a hydraulic jack inside instead of a “screw” mechanism. It works amazingly well and is extremely efficient. And instead of buying a chipper, we use a garbage disposal mounted in a remnant piece of counter top with a bucket underneath. We also added a 1 hp motor instead of the stock motor. We didn’t think of any of this ourselves. The original idea is from http://www.whizbangcider.com. Our press is a little different than the WhixBang, but the same concept. We modified it to hold a long arm hydraulic jack instead of using a conventional car jack which requires placement of boards as you deeper into the basket. I wonder if this would work for cherries and perhaps apricots, or does one have to made alterations to the plans? Wow, what a great writeup. Thank you. We’ve got apples by the barrel full at the moment so hopefully we too can create plenty of cider this year. We purchased a ready-built press earlier in the year but have yet to christen it! I did think about building one from scratch, or at least partly i.e buying a ready built tub and grinder like you did, then building a frame. I also considered the plans over at Whizbang Cider but ultimately bit the bullet and decided on a brand new one (I got it from http://www.simplyciderpresses.com). No regrets yet though as it certainly looks the part. Now it’s time to get into full swinging cider production and see if it can handle the load. Whoop! 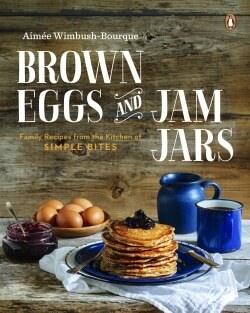 I just wanted to leave a short message and a thank Aimee and her Simple bites readers for visiting our Artfire site. We just wanted to let you know we are excited to have a new site for our cider presses and will be adding new designs in the spring of 2015. 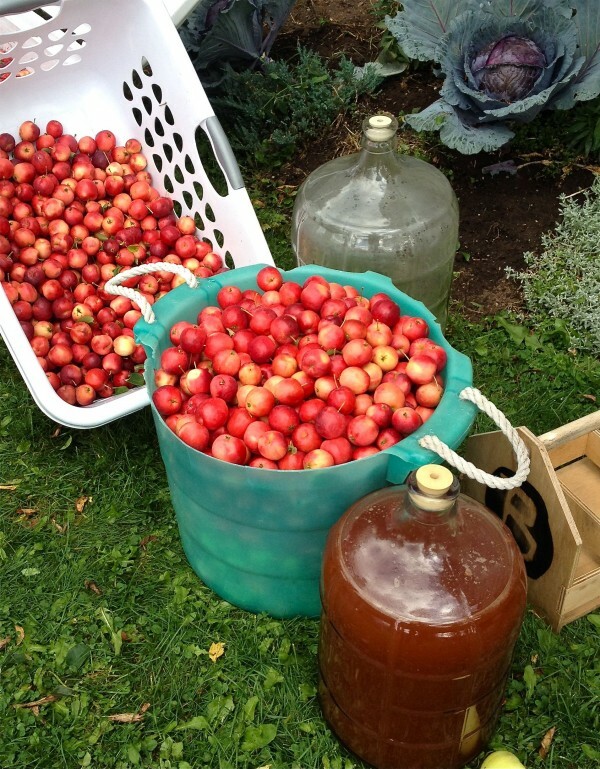 Be sure to stop by and read our blog for more helpful tips on how to press and preserve your own cider. 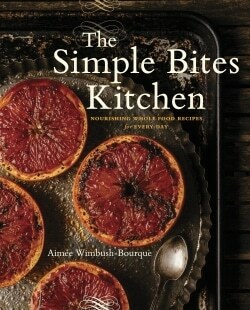 Again thanks to Aimee and Simple bites. This is great! I just found a cider press at the thrift store that works, but needs a little love. 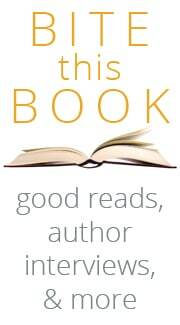 Your story is sweet, and the list of resources is just what I was looking for! 🙂 Have fun foraging. I was expecting an article on how to build a press. I was very disappointed. So question… in the heart of using everything. 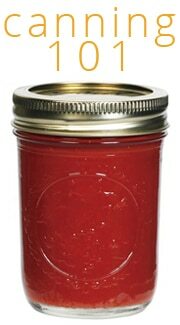 Could you make Apple sauce or Apple butter with the leftover Apple scraps or are they trash? layout and Perfect subject material. Here in Portland OR we have a Kitchen Library where we were able to check out a fantastic chopper & presser. Maybe you have something similar in your town, but if not, maybe you could start one! It’s a great resource for all, tucked into an unused storeroom of a church.